 Graduates of all-girls schools, such as Woodlands Academy of the Sacred Heart in Lake Forest, have a definitive edge over their coeducated peers, according to recently released research data. The Higher Education Research Institute (HERI) at the University of California-Los Angeles (UCLA) conducted a study that shows statistically significant advantages for girls' school graduates as they enter a college or university. 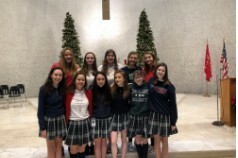 Forty-one percent of Woodlands Academy seniors are among high school students being honored as Illinois Student Assistance Commission (ISAC) 2019-20 State Scholars in recognition of superior academic achievement. Illinois State Scholars represent approximately the top 10 percent of high school seniors from 757 high schools across the state. 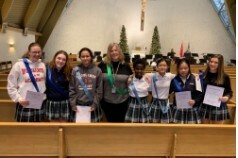 On February 13, we recognize eight students and one staff member with the third quarter Sacred Heart Awards. A community of risk-takers, of profound thinkers, and of informed leaders. Courage to be global citizens empowered to change the world.